is putted essential oil individually. 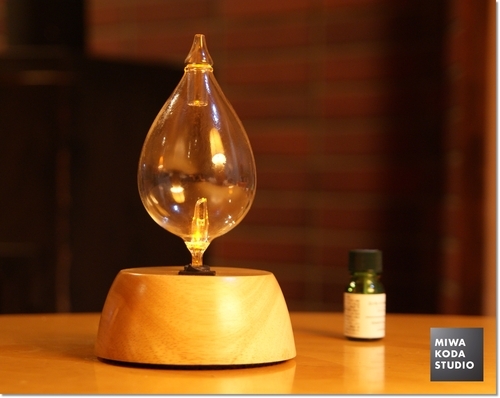 In that tear-shaped glass, you can see a lovely red light by dropping essential oil. Please enjoy Lavender smell; this should be a good start if you are not so familiar with aroma. On the Table Today, enjoy with ‘Lavender Aroma’ refreshingly.